Caterer and Hotelkeeper has a big interview with Des Gunewardena and David Loewi, the men at the top of D&D London, in their latest issue. The focus is firmly on South Place Hotel and the Old Bengal Warehouse, both of which open this month, and both of which feature the hard work of Conran’s interiors designers and branders. Today’s tip is for an exhibition opening next Tuesday at 54 The Gallery, Mayfair, and comes from Hannah Cowley, an architect at Conran and Partners’ Brighton office. South Place Hotel is the first hotel from venerable restaurant group D&D London, but – if we’ve counted correctly – the 84th restaurant and hotel design project we’ve worked on. Three months after Sir Terence Conran aimed his ire at Grant Shapps’ slow progress on housing, the topic is hotting up, with George Osborne calling for ‘imaginative thinking’ around green belt development, and a general consensus that the housing shortfall has become a housing crisis. Terence Conran mentored the young Thomas Heatherwick, whom he recently called ‘the Leonardo da Vinci of our times’. In fact, Heatherwick’s final degree project was assembled – and now resides – in the garden of Terence’s Berkshire home. If Heatherwick was a star already at the start of 2012 – with, for example, the new design for London’s Routemaster bus under his belt – then he’s recently gone interstellar. 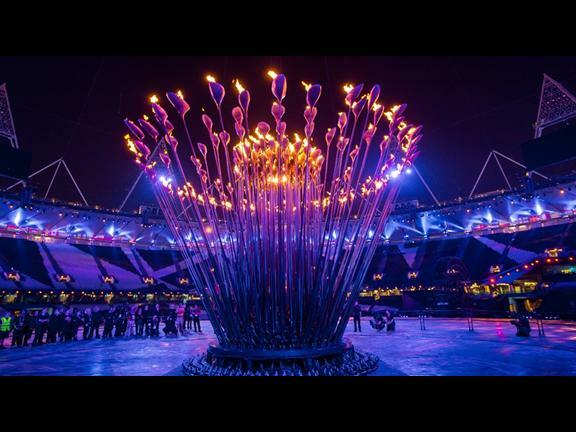 His grand design for the Olympic cauldron, featuring 204 copper petals put in place by the athletes of each competing nation, was the centrepiece of an almost-universally praised opening ceremony. He’s also the subject of a major exhibition at the V&A at the moment. Entitled Heatherwick Studio: Designing the Extraordinary, it examines a wide range of projects, from urban planning to fashion. Heatherwick’s multi-modal genius affirms a notion very close to our hearts, that great design requires only two ingredients: creativity and empathy. If you’re at a loose end this weekend, you could do an awful lot worse.